Well,I’ve been watching many YouTubers over the years, how they applied their makeup, but I never really tried one from start to the end,I just learned few trips and tricks, so here I am, finally, trying a Full Makeup Tutorial by a very big YouTuber,KathleenLights. So here it is, me doing a step by step tutorial, but using only natural and organic products, so it probably didn’t turned out exactly the same, but it turned out pretty well,I say! Have you ever tried a YouTube Makeup Tutorial?Would love to hear your experience following makeup tutorials, and especially if they are helpful. 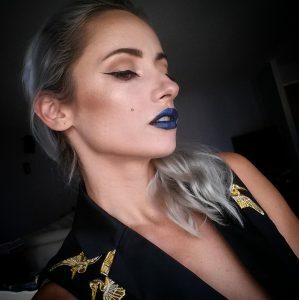 Love seeing other bloggers and youtubers recreating others looks! Love it! !